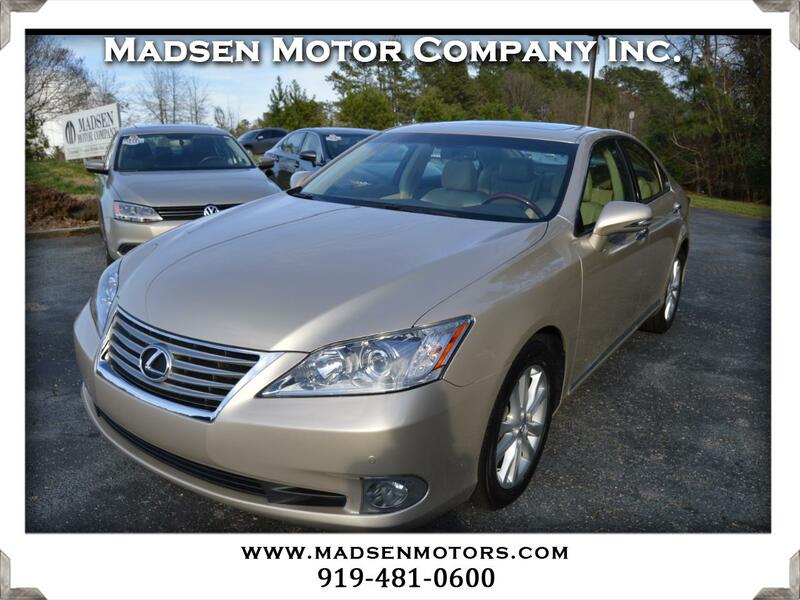 Used 2012 Lexus ES 350 Sedan for Sale in Raleigh, Durham, Cary NC 27511 Madsen Motor Company Inc.
Be sure you don't miss this super-low-mileage 2012 Lexus ES350 with only 31,900 miles! This exceptional example is Satin Cashmere Metallic with Parchment Leather and is loaded with extras, including In-dash 6-CD Changer, Heated & Ventilated Front Seats, Brown Walnut Wood Trim, Intuitive Park Assist, Wood & Leather-Trimmed Steering Wheel & Shift Knob, Power Rear Sunshade, 17'' Alloy Wheels, and much more. You'll also get a clean, 2-owner CARFAX history and 6 months/6,000 miles (whichever comes first) of nearly bumper-to-bumper coverage with a $100 deductible per repair visit. Buy with confidence from Madsen Motor Company - voted ''Best Pre-Owned Car Store'' 4 years in a row in the Best of Cary awards!